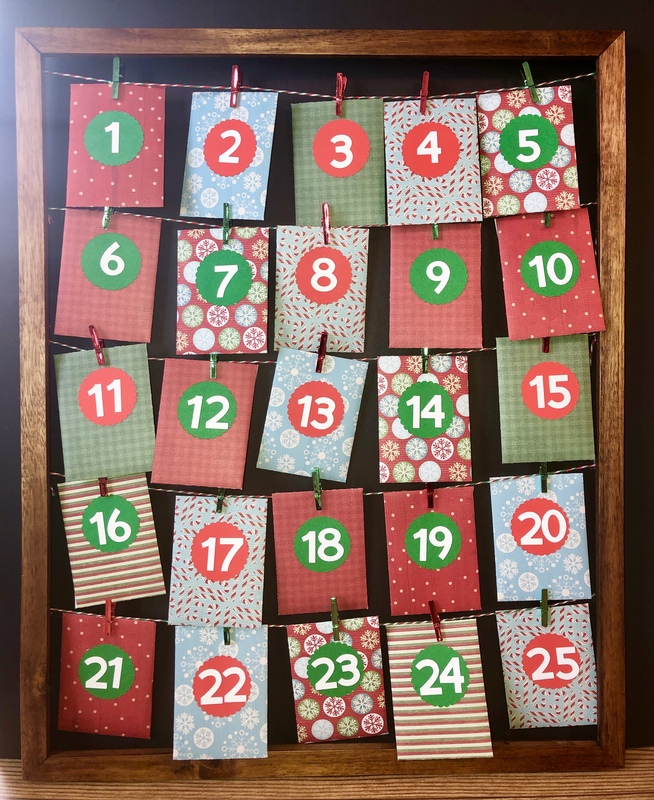 My old advent calendar finally fell apart. I began searching for a new one at the end of the season last year but had no luck, so I decided to make one this year. I didn’t want to focus on candy or getting small gifts of each day. Instead, I wanted to focus on spending time with my daughter and creating memories. 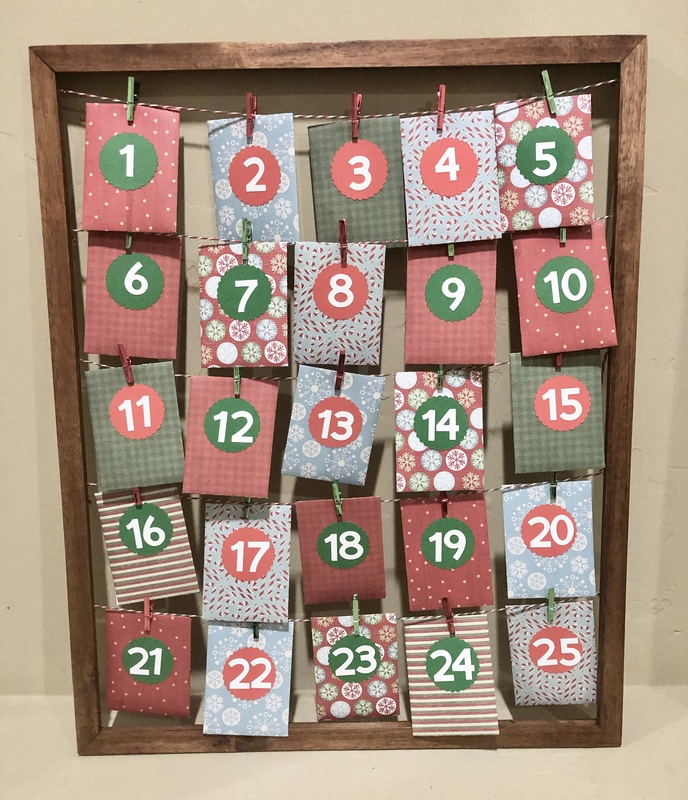 So I created this DIY Advent Calendar with my Cricut Explore Air and Cricut Design Space. A word about Design Space. I was hesitant to pay for the subscription. It seems like if I look long enough I am always able to find a free image that will work for the project I am making. Finally, I decided to buy the subscription, and I am so glad I did! I have saved so much time being able to find an image or font that is included in my subscription quickly instead of searching or even looking online for an image I can upload to Design Space. If you are thinking about getting the subscription, I recommend just doing it. 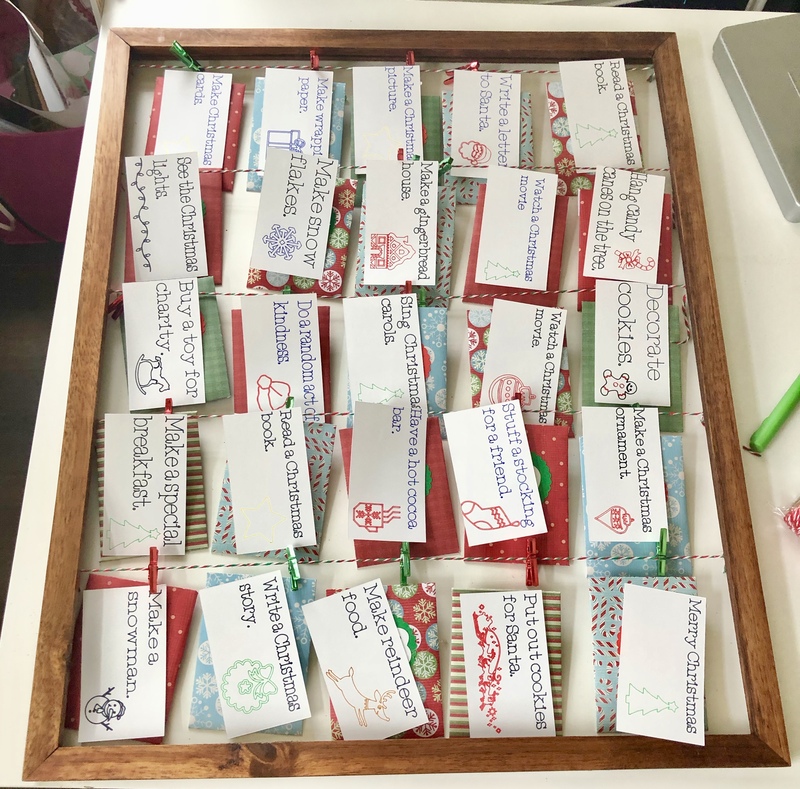 I created business card sized rectangles ( 3″ wide by 2.5″ tall) and welded the activities and Christmas images to the rectangles. You can find the design here. 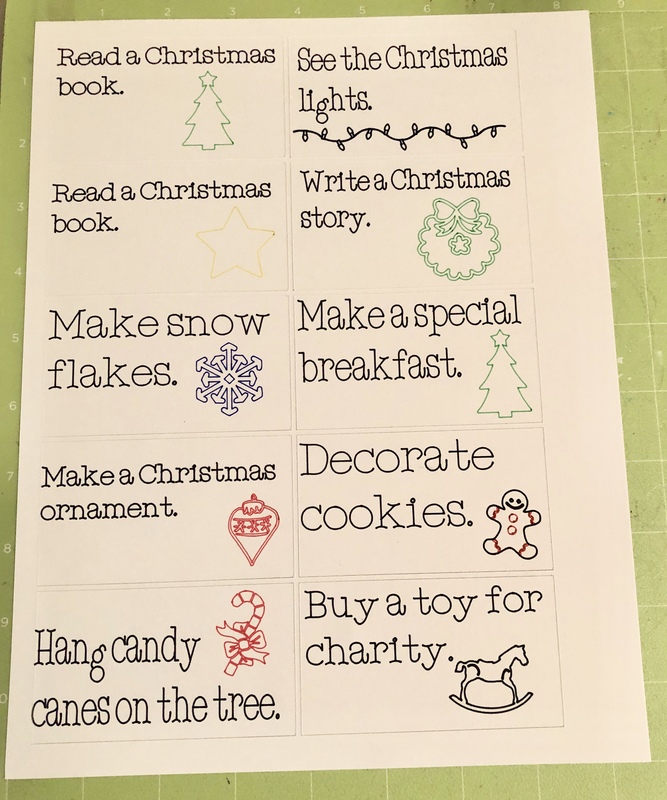 If you don’t have a Cricut, you can grab my list of activities here. The trickiest part was making the envelopes the correct size. In order to get all the envelopes to fit within the frame, I needed to use a vertical design. 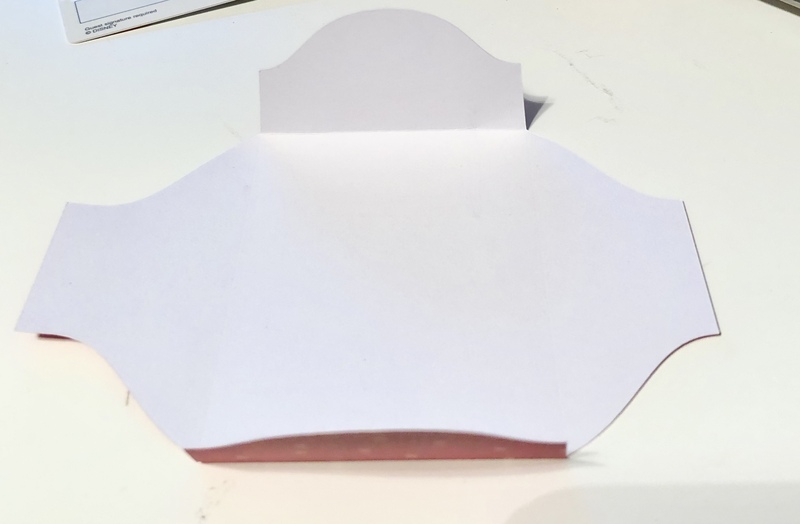 I spent about an hour messing with the size, through trial and error, I eventually ended up with an envelope that would hold the cards. Start with the short ends. Learn from my mistakes, and fold the short ends first, when folding on the scored lines. When I started with the long ends, I had a few tears at the corners. 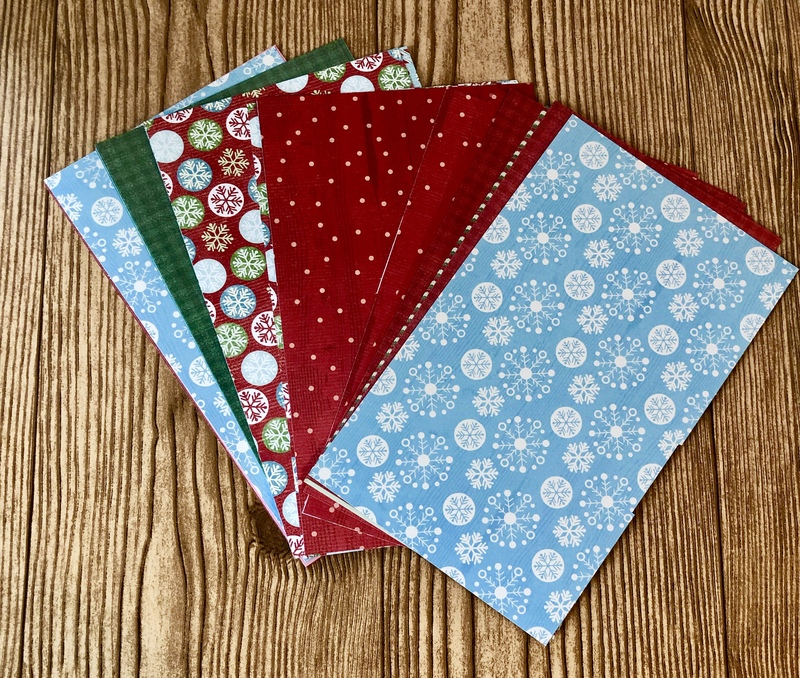 The pad of Christmas cardstock I used was 8″ x 11″, which only allowed one envelope per sheet. 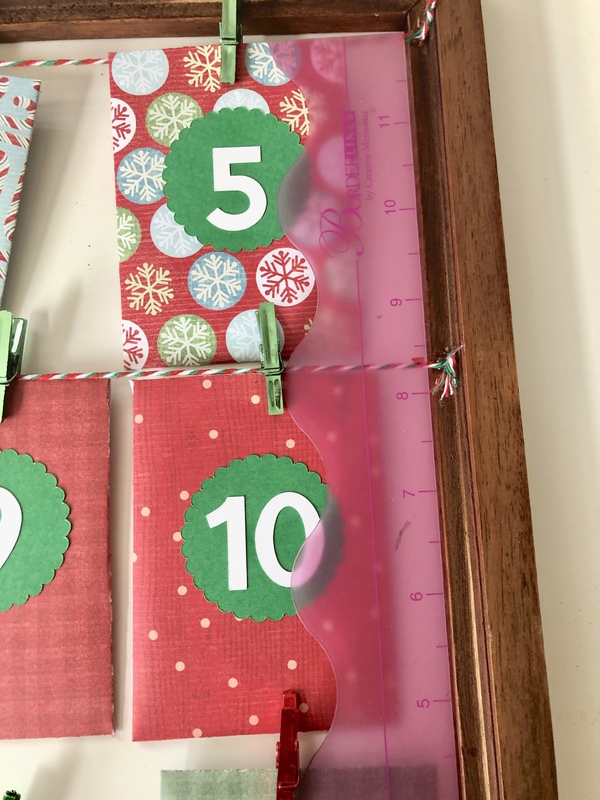 I cut down the scraps and saved them to use in making Christmas tags. The envelopes looked a little plain, so I added the scalloped circles under the numbers. Grab it here. I flipped the frame over and glued the twine in place. I used a ruler to mark off where to glue the twine. The trick to evenly spacing the rows. Considering how busy we are during the week, I carefully planned out which activities to put in each envelope. Using the calendar on my phone I mapped out on what day of the week each numbered envelope would fall. This allowed me to make sure I put the most time-consuming activities on the weekends. If you have busy weeknights, I would highly recommend this method. Carefully plot out which activities fall on weekends. My daughter is very excited about opening the envelopes! I’m pretty happy with the finished product. What do you think?